Hawaii Native Status: Introduced. 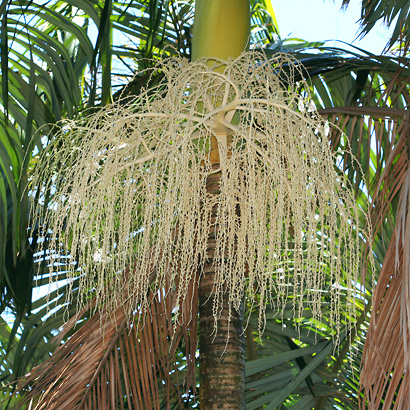 This naturalized ornamental palm tree is native to Queensland, Australia. Description: The tiny flowers are on up to 28 inch (70 cm) long, cream-colored, waterfall-like inflorescences with numerous cascading branches. The flowers are followed by small, rounded, red fruits. The leaves are clustered above a bulging, lime green crownshaft and are green above, ashy and paler below, and pinnate with linear, point-tipped leaflets. 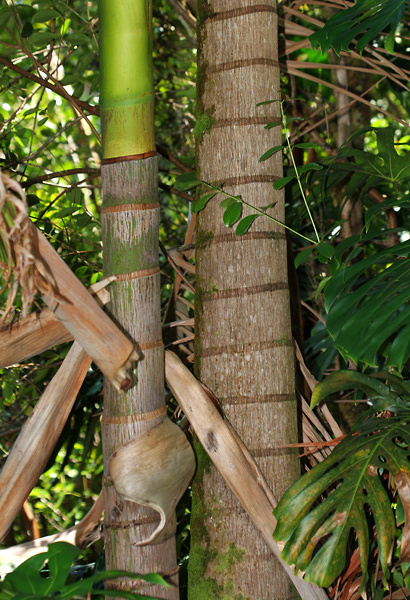 The trunks are tall, slender, solitary, gray to grayish brown in color, and conspicuously ringed. 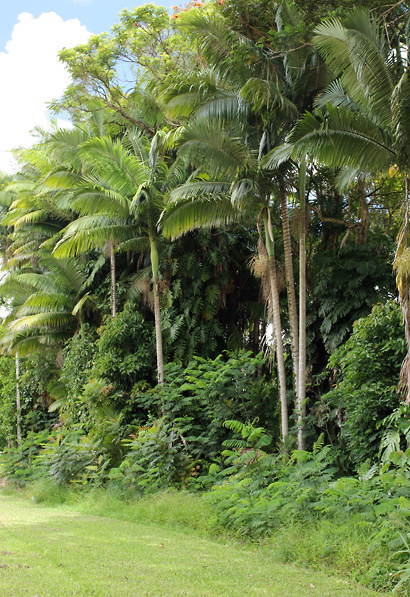 Here in Hawaii, Alexandra Palms are commonly cultivated for their attractive form, but they also grow wild in wet and mesic (moderately wet) areas at low elevations. 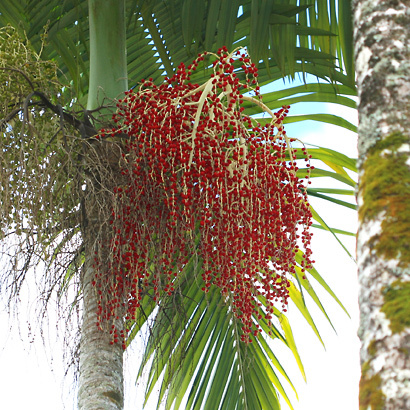 These palms are very common in near Hilo, Hawaii and along the scenic Hamakua Coast.